SKU: DMP925S/C221 Category: Pearl Kits Barcode: DMP925S/C221. Now In NEW Limited Edition ‘Faded Glory’ Lacquer Finish – While Stocks Last! 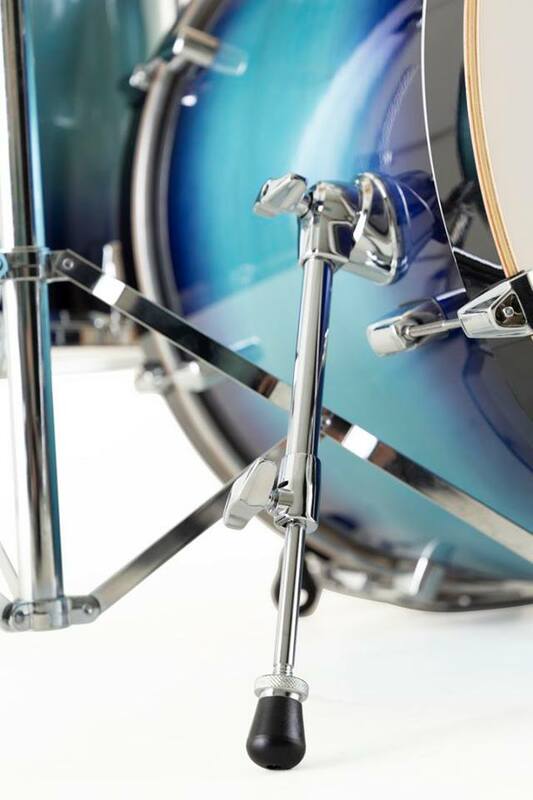 Pearl’s 70 years of drum craftsmanship culminate with the kit you’re ready to step up to. 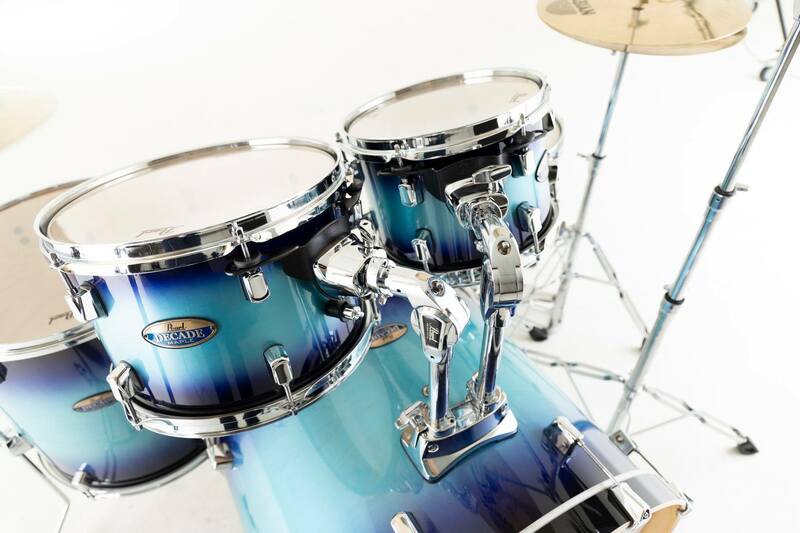 With 5.4mm maple shells, pro-level features, and gorgeous lacquer finishes, Decade elevates your performance at a price that was previously thought impossible. 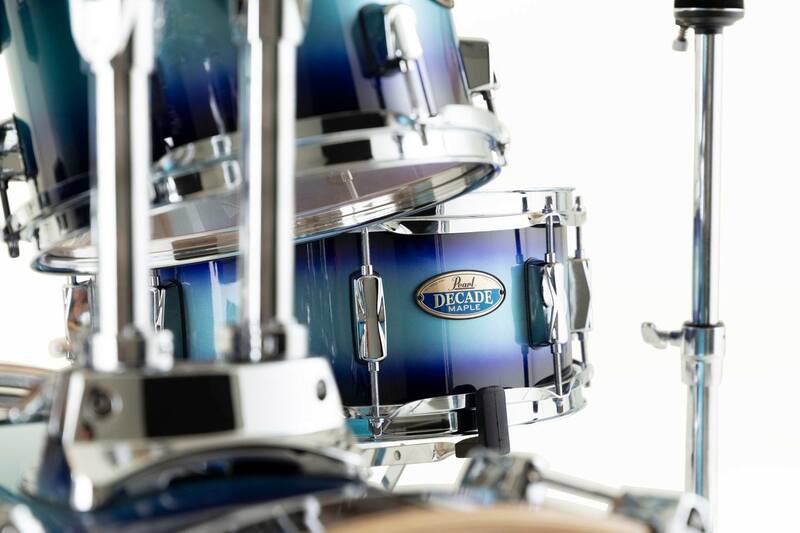 Decade’s 6-ply/5.4mm all maple shell is what sets it apart from the other players in the field. The final product of ten years of process and material refinement, each cross-laminated ply incorporates Pearl’s proprietary Superior Shell Technology. 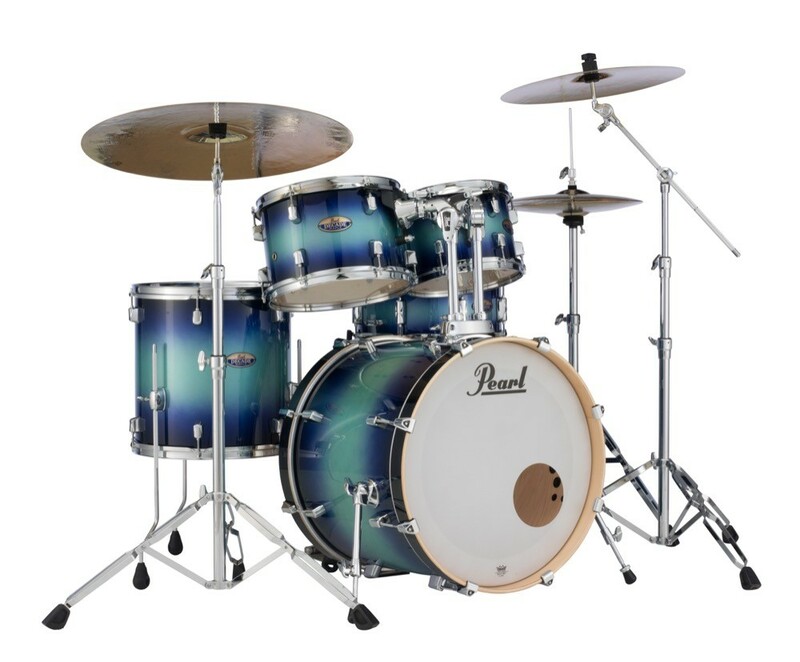 Pearl’s Superior Shell Technology utilizes a proprietary technique for achieving the ultimate air chamber. It begins with select woods chosen for their unique acoustic attributes, milled to precise thickness with overlapping scarf joint seams, for a perfect air-tight fit. The wood plies are saturated with Pearl’s proprietary “AcoustiGlue” that permeates every pore and dries to the exact consistency of the wood for optimum resonance. 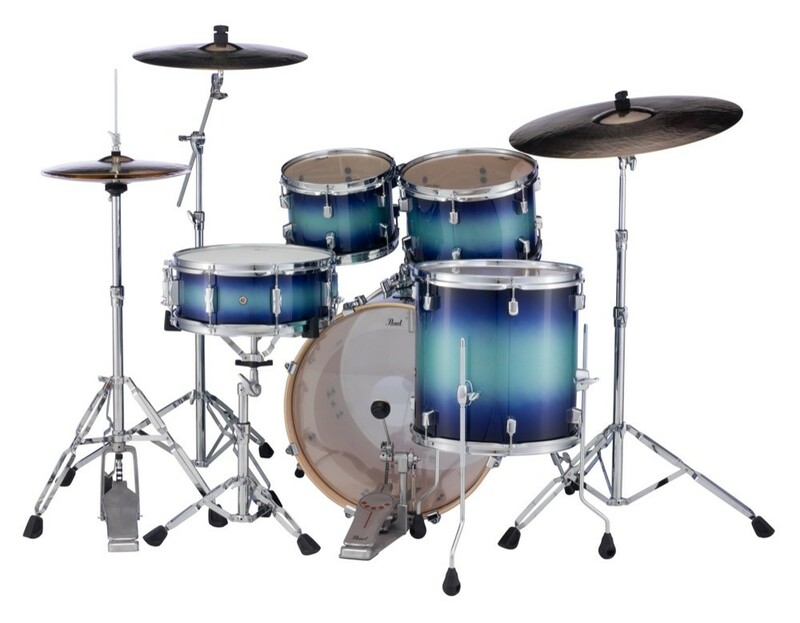 Finally, the plies are formed in high-temperature molds with 1000 PSI of hydraulic pressure to produce perfect drum shells that exhibit superior tone, optimal resonance and extreme strength. The resulting thin (but powerfully strong) shell reacts quickly to the stroke, producing beautifully resonant highs and thundering lows. Decade’s low-mass/low-contact shell hardware assures optimum shell performance and rock-solid durability. Features include Uni-Lock gearless tom arms, insulated die-cast claw hooks, R40 Air Suspension Floor Tom feet, and a newly-designed mini lug. An estimated delivery date will be displayed at checkout which will show the next available date that we will be able to deliver this item to you, depending on the delivery option you select at checkout and the stock availability of any other items add to your cart.